The Platters was one of the most successful rhythm and blues vocal groups during the rock and roll era. They began in Los Angeles, California and were initially managed by Ralph Bass at Federal Records. The original band consisted of Alex Hodge, Cornell Gunter, David Lynch, Joe Jefferson, Gaynel Hodge, and a late addition, Herb Reed, who joined after being discharged from the Army in late December, 1953. In June 1954, lead singer Gunter left to join the doo-wop group The Flaires, and was quickly replaced by Tony Williams. Initially unsuccessful, Federal Records contracted Buck Ram to manage the group. Ram added female vocalist Zola Taylor, and Gaynel Hodge was replaced by Paul Robi. The Platters produced eight records and scored a few regional hits along the west coast. Despite their lack of chart success, they remained a profitable touring group. When The Penguins asked Ram to be their new manager, he persuaded Mercury Records to sign both The Penguins and The Platters. After joining Mercury Records, The Platters released “Only You” in the summer of 1955 and it soon became the group’s first top-ten hit on the pop charts and topped the R&B charts for seven weeks. Their next single, “The Great Pretender,” written by manager Buck Ram in the bathroom of a hotel in Las Vegas, became their biggest hit rising to number one on the pop charts and remaining at number one for 11 weeks on the R&B charts. In 1956 The Platters appeared in the movie Rock Around the Clock, which depicted the origins of rock and roll. They performed both of their hit singles in the movie. The Platters’ unique vocal style appealed to the broad music-buying public and a string of hit singles followed, including three more national #1 hits and more modest chart successes such as “I’m Sorry” at number eleven and “He’s Mine” at number twenty-three in 1957, and “Enchanted” at number twelve in 1959. The biggest of these hits was “(You’ve Got) The Magic Touch,” which peaked at number four on the pop charts in 1956. The Platters hold the unique distinction as the first rock and roll group to have an album reach the top ten on pop charts in the United States charts. The album The Platterswas released in 1956. The group fell apart by 1960 as some of the members became solo acts or joined other groups. Disputes followed over the right to the “The Platters” name. The disputes eventually became protracted legal battles which included injunctions, non-compete clauses, and multiple versions of the act touring at the same time. 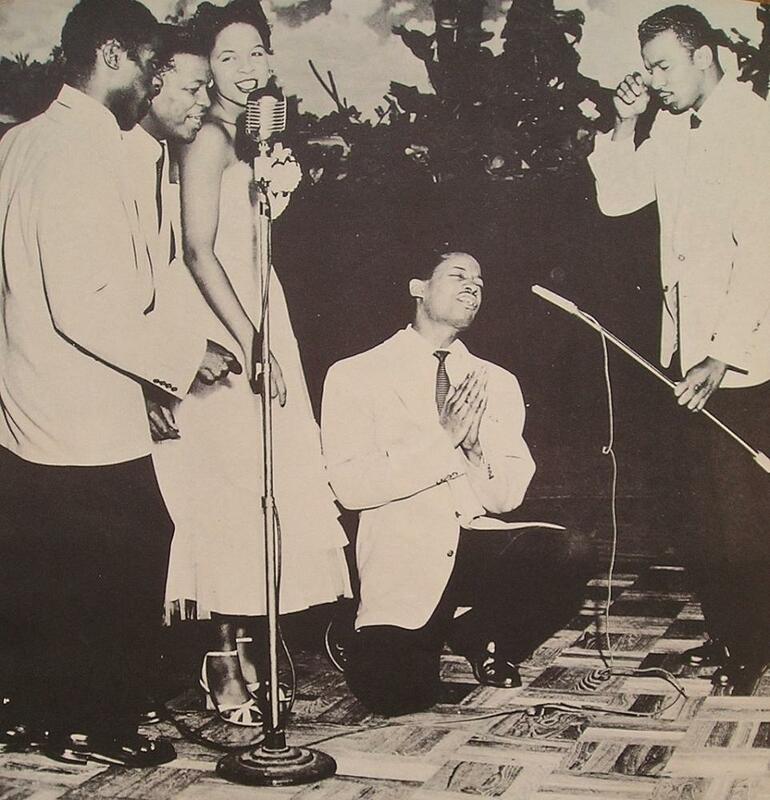 Williams, Robi and Taylor led their own Platters groups and, for a short while, Taylor, Robi, and Lynch were known as “The Original Platters” with Williams clone Johnny Barnes as their lead singer. The court battles lasted from (1994-2014) when the rights to the name were granted to Herb Reed, insuring that all other “Platters” pay tribute or homage to the original band. The Platters were inducted into the Rock and Roll Hall of Fame in 1990 and into the Vocal Group Hall of Fame in its inaugural year of 1998. Michael Larson, “History,” THE PLATTERS®, https://www.theplatters.com/about/; Cub Koda, “The Platters | Biography & History,” AllMusic, https://www.allmusic.com/artist/the-platters-mn0000894335/biography.